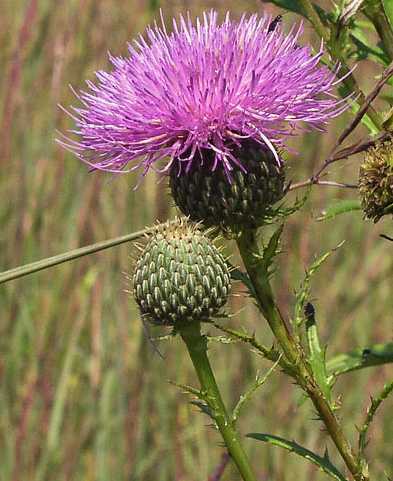 Flowers: head up to 1 1/4 wide with pink to purple disk flowers; inflorescence of one to many heads on a somewhat leafy stalk; blooms July-Oct. 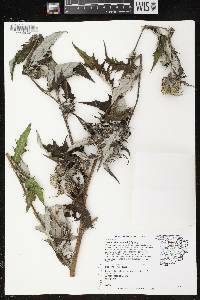 Robust biennials 1-3 m tall, the stems pilose-puberulent, weakly ridged, mostly unbranched except in the inflorescense. 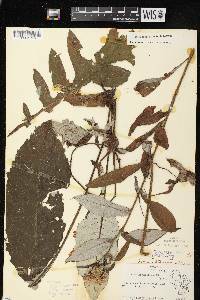 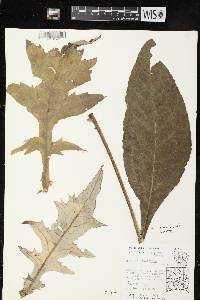 Leaves broadly oblanceolate to elliptic, unlobed and serrate or shallowly lobed, the large lower basal ones rarely pinnatifid, especially at the base of blade, the lobes wide and broadly acute, 9-40 (-70) cm long (including long petiole of basal leaves), 3-19 cm wide, the margins with weak prickles, densely white-tomentose beneath, glabrate to pilose and crisped-hispid above. 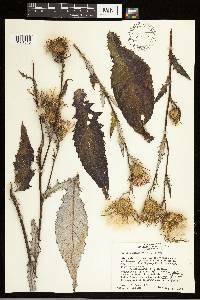 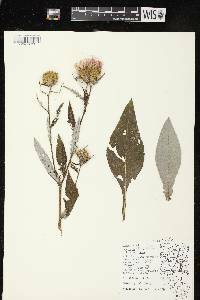 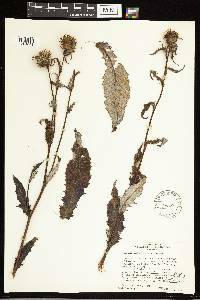 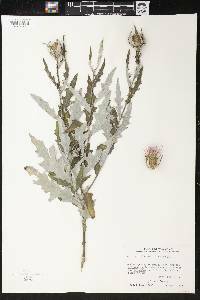 Heads nearly identical to those of Cirsium discolor, one to several on leafy peduncles; corollas pinkpurple; involucre 2-2.7 cm high, each outer bract with a dark glandular ridge, obtuse, abruptly contracted into a slender spine 2-4 mm long, theinner-most bracts attenuate, with scarious, entire tip. 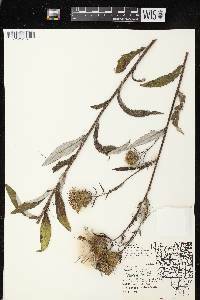 Achenes 3.5-5 mm long. 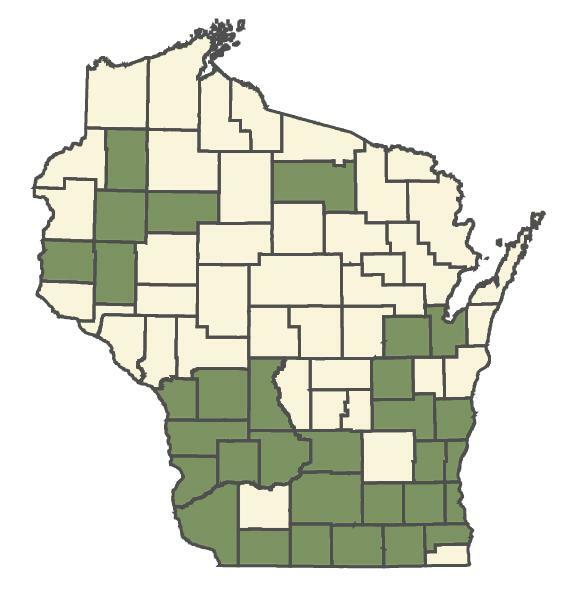 Mostly in the southern Wisconsin hardwood forests, reaching greatest abundance in the southern dry-mesic forest (Curtis 1959), in Red, Black and White Oak communities, in E. Wisconsin frequently in maple-beech woods and shady wooded ravines, occasionally along roadsides and railroads. 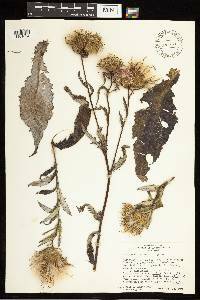 Flowering from (mid-July) August through September; fruiting from mid-August through September. 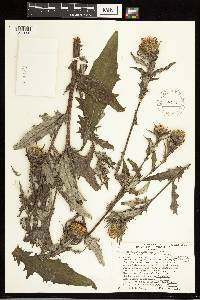 Similar to Cirsium discolor in its heads, leaf pubescence and spine-tipped involucral bracts (which average a little shorter), but differing in the mostly unlobed leaves (especially the upper), and a preference for mesic woods.The morphological intergradation between these species is probably due to introgressive hybridization. 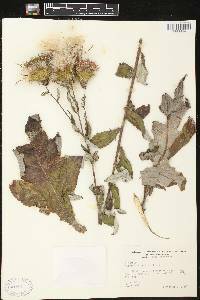 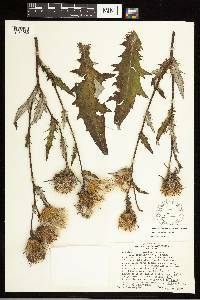 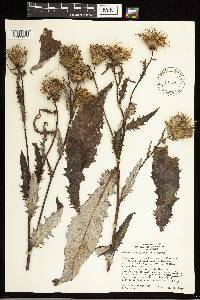 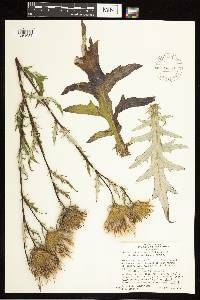 Cirsium discolor and Cirsium altissimum hybridize in Wisconsin. 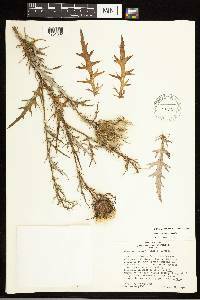 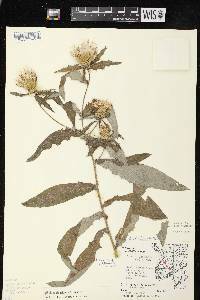 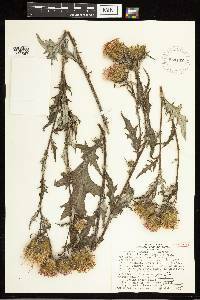 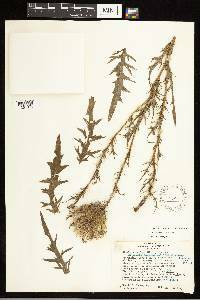 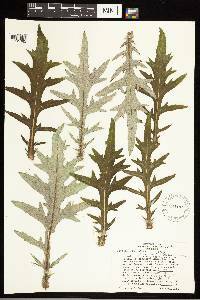 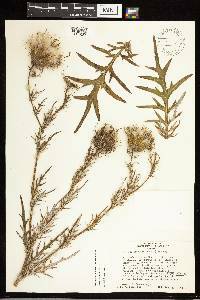 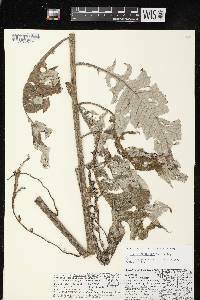 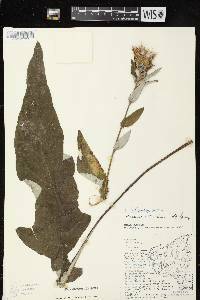 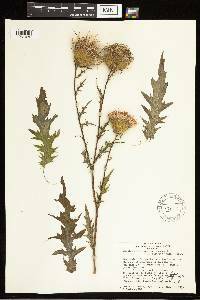 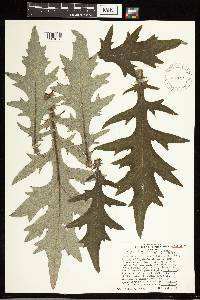 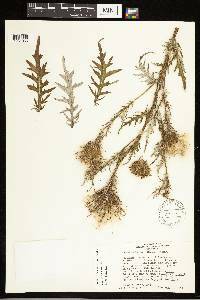 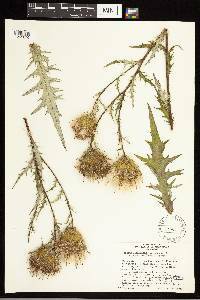 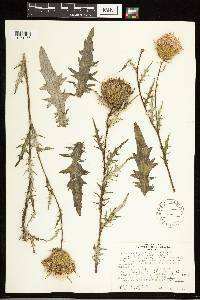 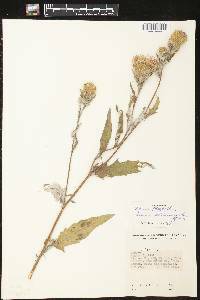 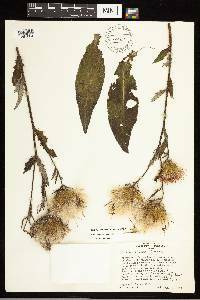 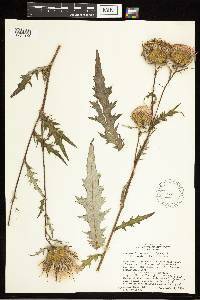 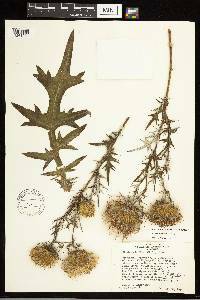 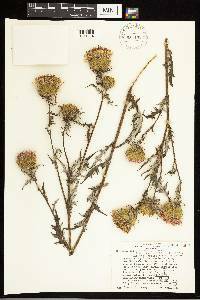 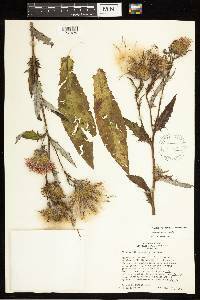 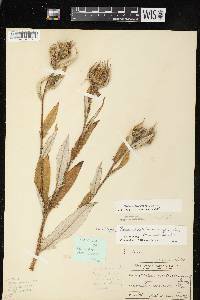 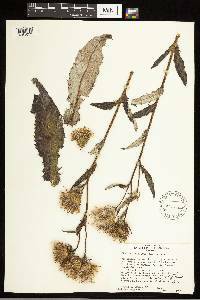 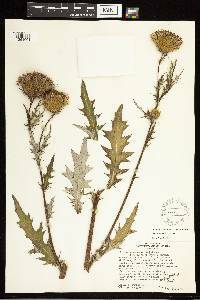 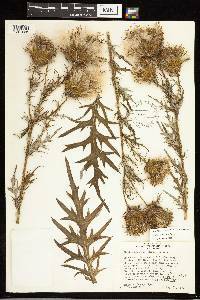 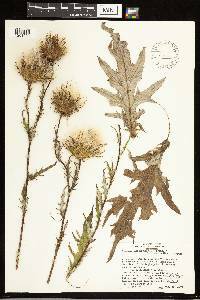 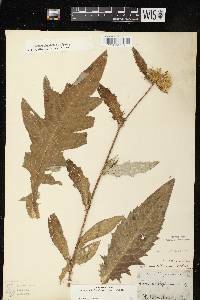 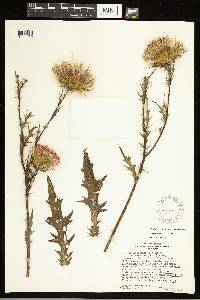 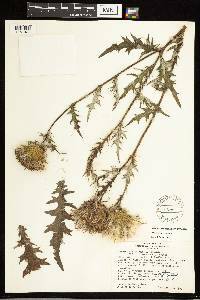 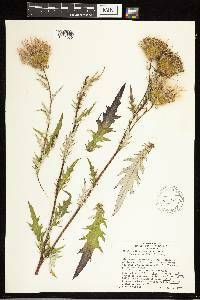 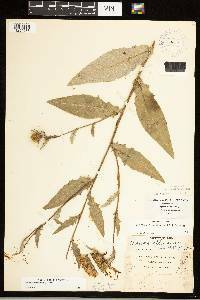 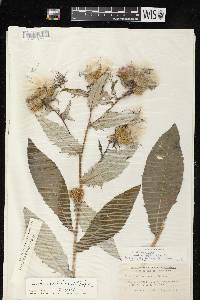 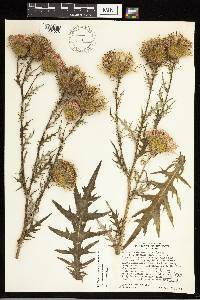 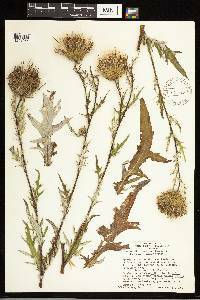 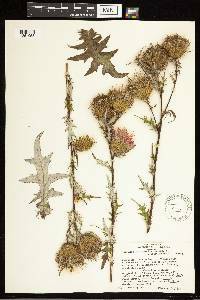 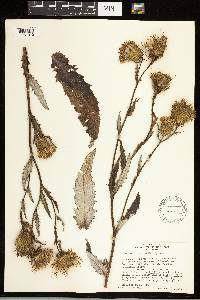 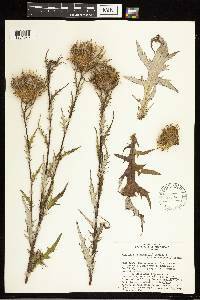 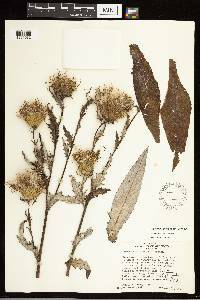 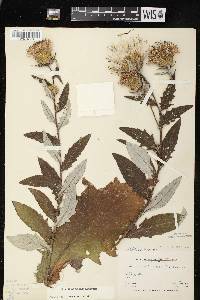 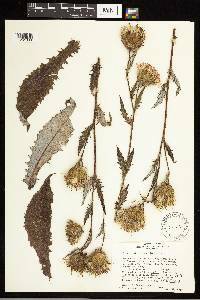 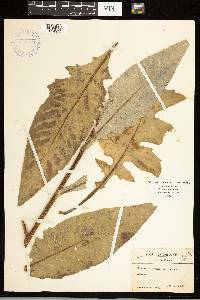 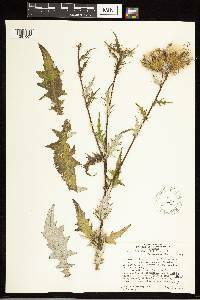 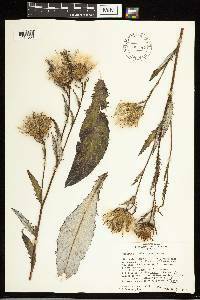 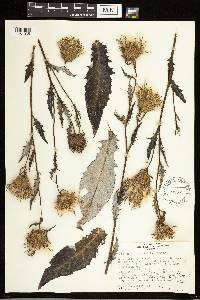 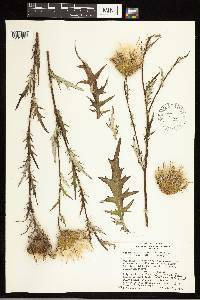 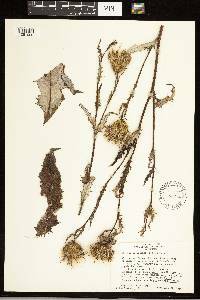 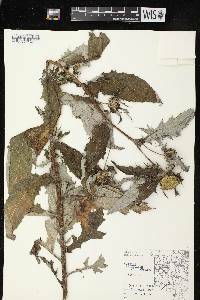 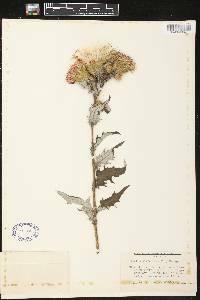 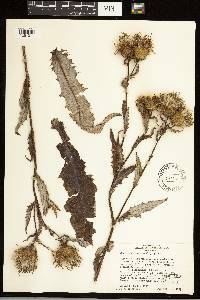 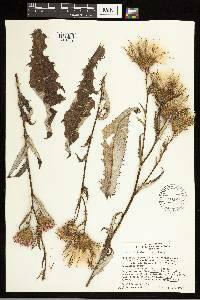 On the basis of herbarium specimens one may,however, encounter considerable difficulty in distinguiishing the putative hybrids from more extreme forms of Cirsium altissimum.